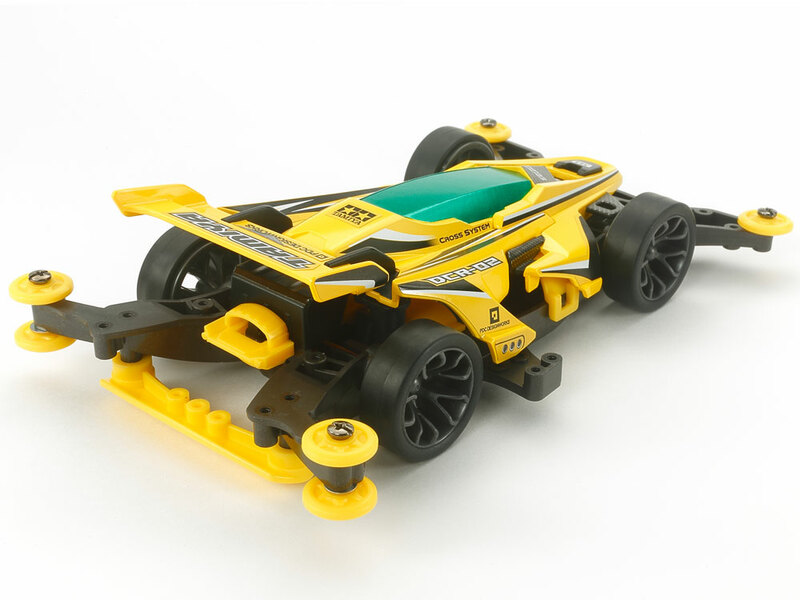 This assembly kit creates a thrilling Mini 4WD racer called the DCR-02. 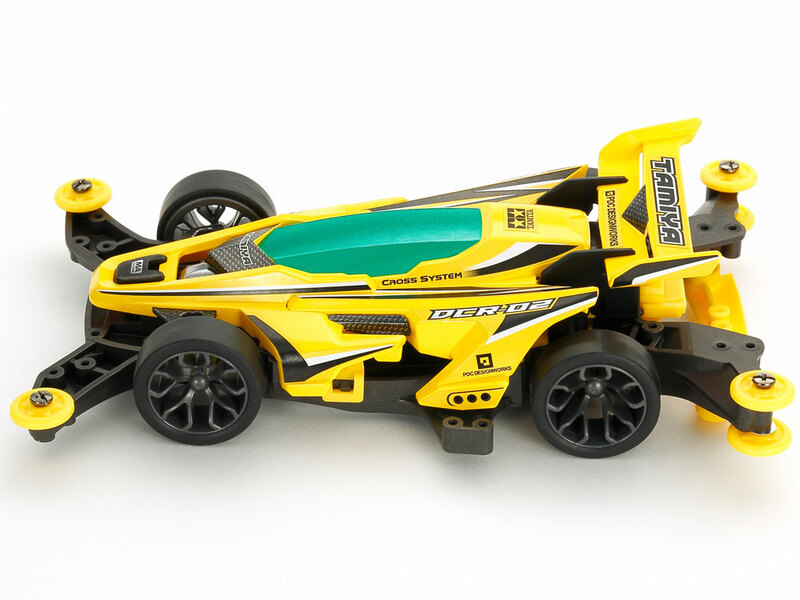 Its stylish yellow ABS body is the work of Takayuki Yamazaki, who also designed the DCR-01, the first model in the DCR series. 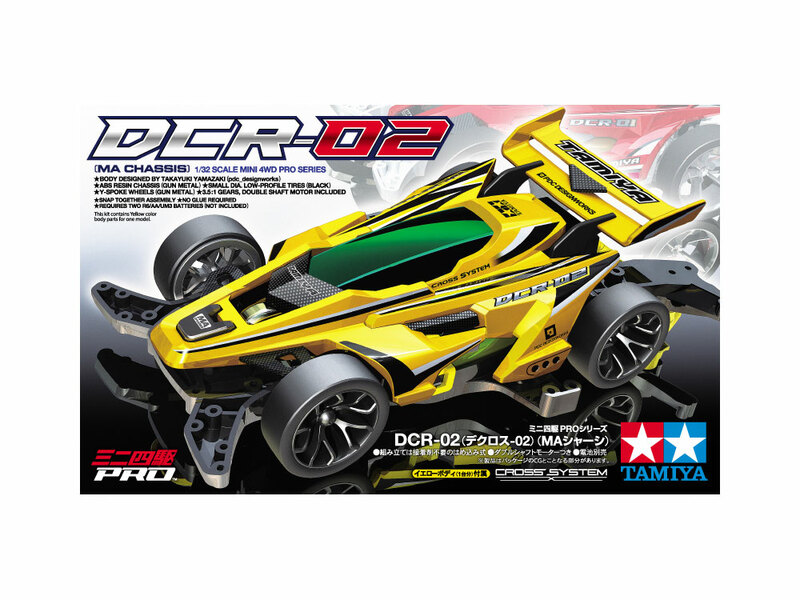 The DCR-02 body is comprised of three separate components - front cowl, rear cowl and rear wing - which can be mixed and matched with other DCR-02 bodies, and the front and rear cowls can also be used with DCR-01 components! 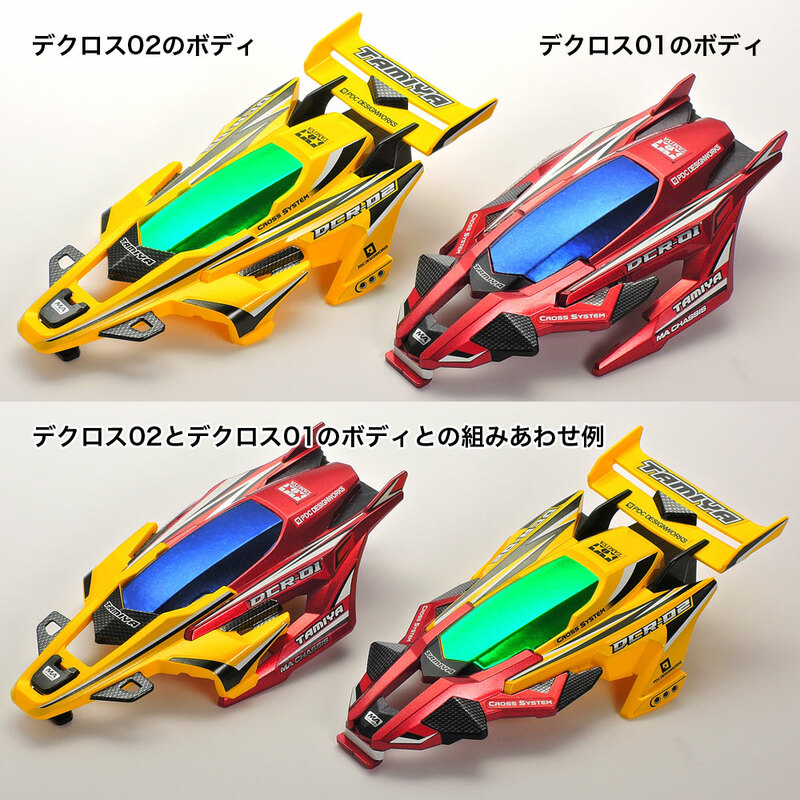 Metallic stickers are included in the kit to decorate the body. The MA chassis is molded in gun metal color, with yellow A parts , plus Y-spoke wheels and stylish low-profile tires.